Msgr. 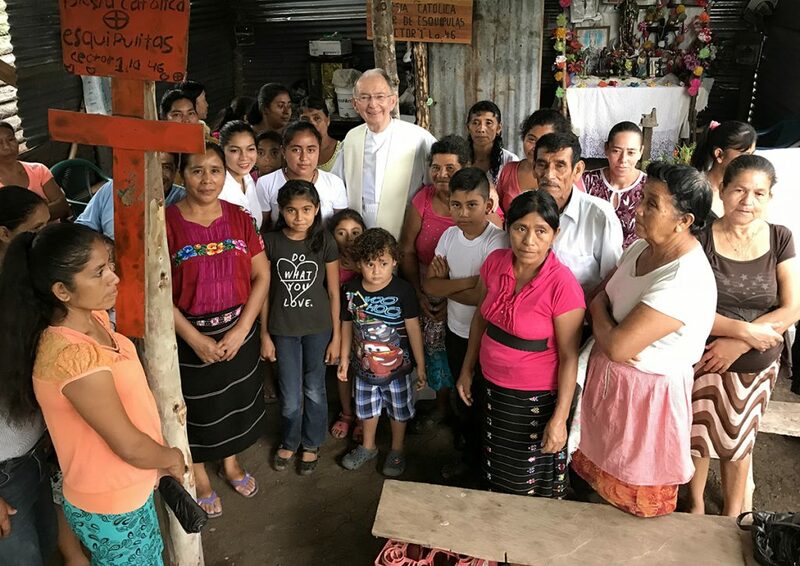 John Barry and a group of inspired members of Queen of Martyrs Council 4567 transformed lives and hearts as they served impoverished families and vulnerable children in Cuilapa, Guatemala. Cross Catholic Outreach was blessed to serve alongside the mission trip team and the Caritas ministry staff of the Diocese of Santa Rosa. The combination of generosity and compassion was a testament of our beautiful Catholic faith and a witness of that faith in action. Activities included fun, fellowship, hard work, good food and daily mass. Most special was the mass celebrated by Fr. John with the faithful in the impoverished Community 46 sweet outdoor chapel. The Diocese of Santa Rosa de Lima has many poor communities and the families there are in great need. Most live in makeshift shelters — little more than shanties cobbled together from mismatched bits of wood, tin and tarp. 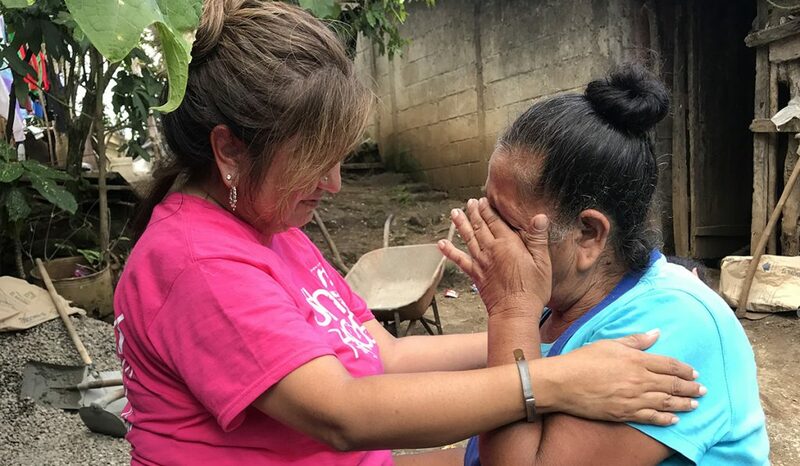 Through the hard work and volunteer effort of the American Martyrs KOC group, two families – the Perez family and the Vias family – received newly constructed homes. Milton Pérez worked hard as a bricklayer every day so his family would have enough to eat. But he always thought the security of having a permanent home would be beyond his reach. Milton and his wife, Clara, were childhood sweethearts. They met in church and sung in the choir together. After they got married, they reserved a special prayer, which they recited as a couple — asking God for peace, and for a secure home for themselves and their young son. Because of the hard work provided by the American Martyrs Knights of Columbus, those prayers have been answered! 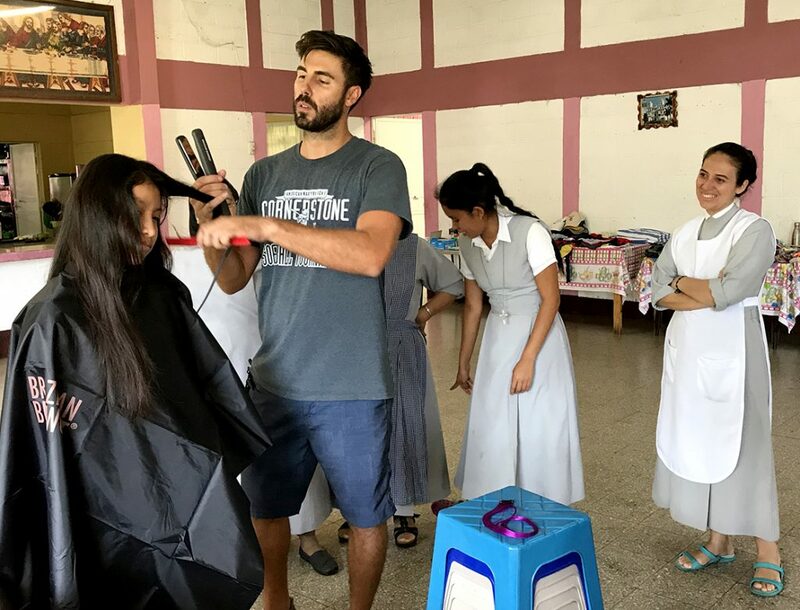 Other activities included a fun day at Hogar de la Nina, a home for orphaned, abandoned, abused and at-risk girls, run by the Sisters of the Small Apostles of the Redemption. The sisters and the girls enjoyed a salon spa day and “shopping” among generously donated clothing and shoes. The new gutters installed by the group were tremendously appreciated as well! It’s amazing how a single act of compassion can profoundly change many lives. The majority of these girls come from extremely difficult situations of abandonment, poverty, violence and exploitation. THANK YOU FOR OPENING YOUR HEARTS!